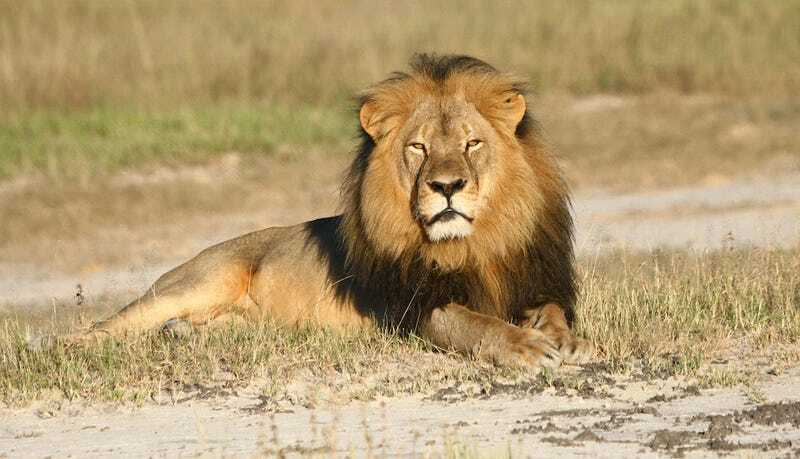 On Monday, a little over a week after public outrage peaked over the death of Cecil the lion, Delta Airlines—the only American airline with direct routes between the U.S. and countries in Africa—announced a ban on transporting trophy kills. Last week, airlines including Air France, KLM, Iberia, IAG Cargo, Singapore Airlines and Qantas all signaled that they would ban the transport of hunting trophies; earlier this year, South African Airlines, Emirates, Lufthansa and British Airways pledged to refuse all big game trophies as cargo. According to reports, South African Airlines later lifted this ban. Also on Monday, never one to miss a marketing opportunity, a “Cecil the Lion” Beanie Baby was announced by toymaker Ty; all profits from sales will go to WildCRU, the Wildlife Conservation Research Unit of University of Oxford in Oxford, England. “Hopefully, this special Beanie Baby will raise awareness for animal conservation and give comfort to all saddened by the loss of Cecil,” said Ty Warner, the company’s founder.